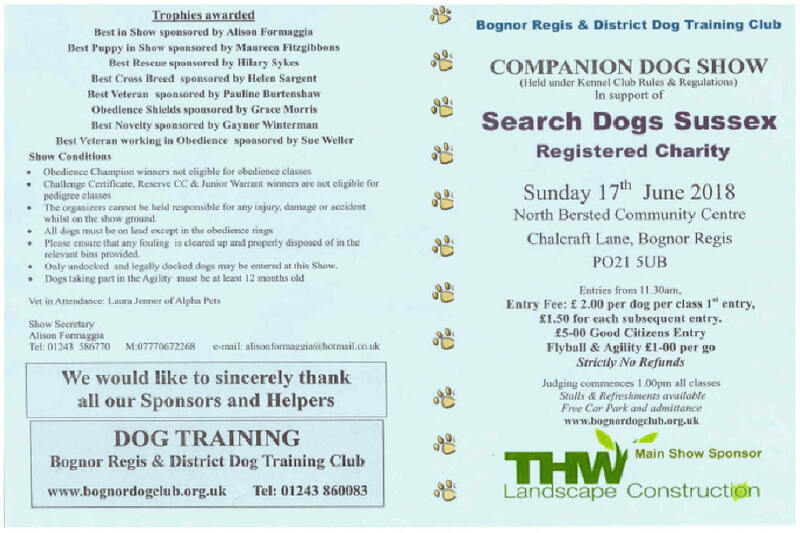 The 2019 Show will be held on Sunday 30th June at North Bersted Community Centre. 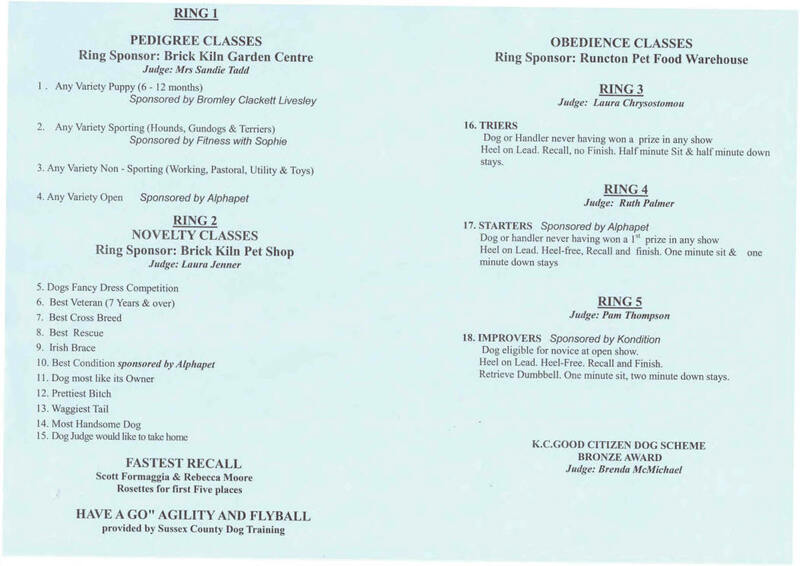 Once again it will be sponsored by THW Landscape Construction with Ring sponsorship provided by Brick Kiln Garden Centre and Runcton Pet Food Warehouse. This years show will be supporting Ability Dogs 4 Young People which is an Isle of Wight charity (started April 2012), training assistance dogs to enhance the independence of disabled young people and children living on the Isle of Wight. They training Ability Dogs to help with physical and mental disabilities, including cerebral palsy, autism, diabetes and epilepsy. As well as helping with practical tasks (picking up items, opening doors, helping dress and undress, crossing the road), their trained Ability Dogs help increase disabled young people's well-being, confidence and self-esteem, enabling them to go on to further education or gain employment without needing full-time carers. In addition, having a jacketed Ability Dog by their side means that more people feel able to come and talk to them, thereby increasing their general social interaction. The 2018 show was held on Sunday 17th June at North Bersted Community Centre. We are pleased to report that once again THW Landscape Construction was our Main Show Sponsor. Sporting. Jess Foglua from E.Wittering with Wilson a standard W.H Dachund. Dog Judge would like to take home: Mila a cross breed owned by C.Knight from Middleton on Sea.